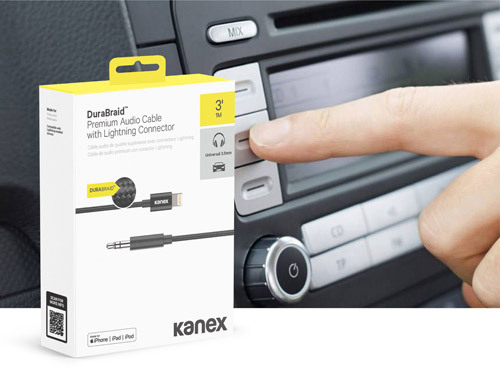 The Kanex DuraBraid Premium Audio cable with Lightning Connector lets you directly connect your iPhone to a 3.5mm audio player, such as a car stereo, without the need for an adapter. 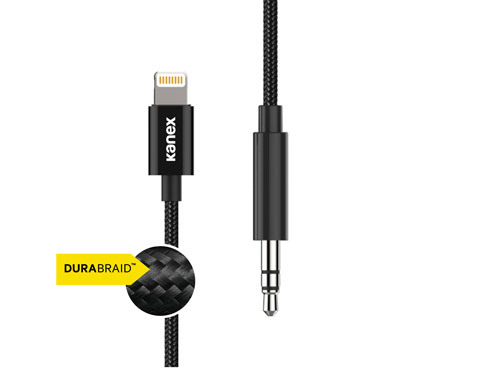 Encased in a DuraBraid protective exterior, this audio cable was built for everyday use, wear and tear. Use the Kanex Audio Cable with almost any media device. Connect it to your headphones, speakers at home or car stereo.